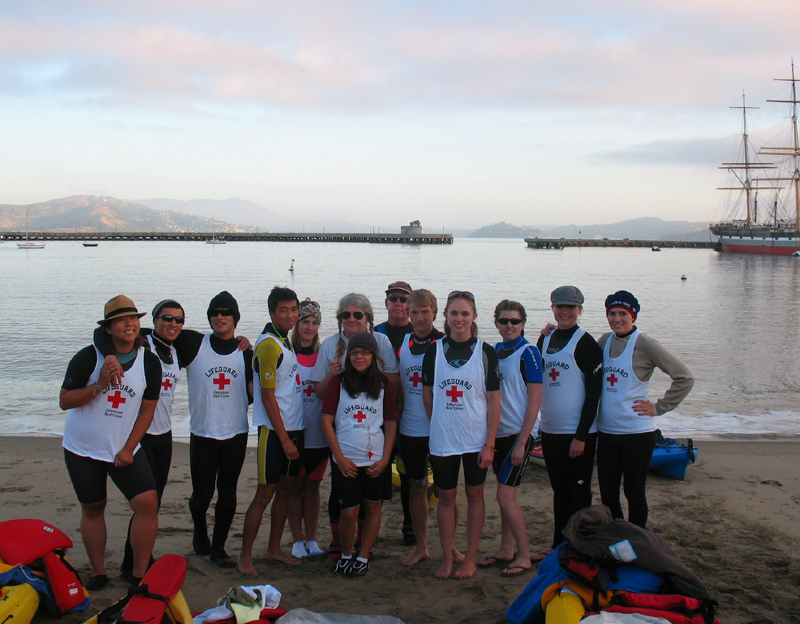 All the volunteer lifeguards at the 2010 Alcatri were trained at De Anza College. In the group photos above, left to right: Joyce Kuo, Herland Antezana, Javier Puente, Jeremiah Chua, Alanna Klausen, Mary Donahue, Emily May, Alan Ahlstrand, Ethan Wilkie, Natalie Groft, Susan Restani, Joelle Cope and Brittany Peters. 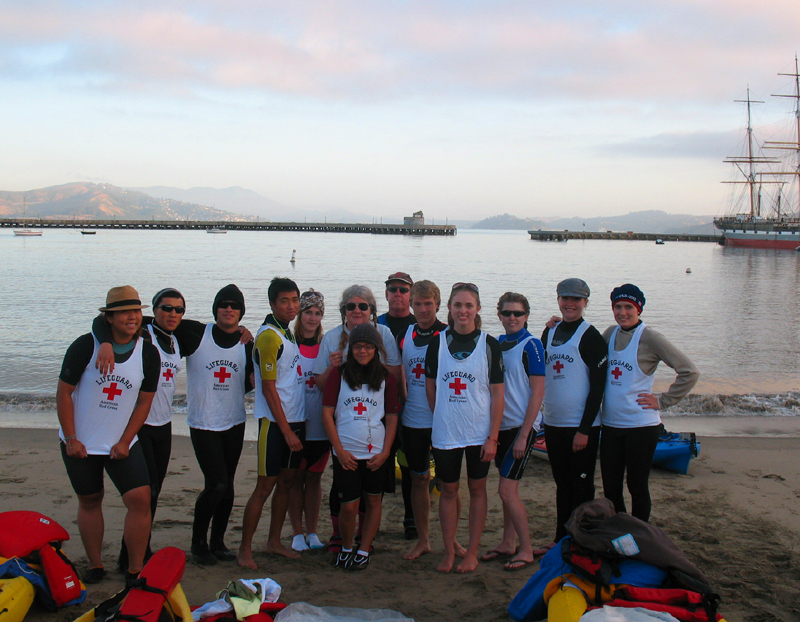 De Anza College trained Red Cross Water Safety Instructors Sherry Fong and Imelda Terrazas were among the padders.